I used to think that wheat flour was the most important ingredient in bread. I've since changed my mind. While flour (wheat or otherwise) provides the bulk, without yeast there would be no lift. Okay, you could make quick breads with baking powder, but when people think of bread, usually they're thinking of yeast bread. When I'm bored, sometimes I think about what foodstuffs I'd bring along to an alien planet. Of course I'd want to bring along plenty of flour to make cakes, cookies, muffins and breads. I'd have my chemical leavenings in my suitcase, too, but what about yeast? It's a living thing. Would they let me bring that to my new homeworld, or would the alien version of customs police stop me at the border? And if I couldn't bring my own, would there be an alien equivalent that would allow me to culture a sourdough starter? Because without the help of yeast, my breads would be pretty dense. Yeast is such a common thing here on planet earth that we don't give much thought to how amazing it is, and what a boon it is to bakers, brewers, and winemakers. And yeast is such a fun guy. Or, more accurately, a fungi. It converts the fermentable sugars in the dough into carbon dioxide and ethanol, and those bubbles, trapped in the matrix of gluten, are what cause bread to rise. When the dough is baked, the yeast dies but the pockets of air remain, which gives bread its unique texture. The first yeasted breads were no doubt accidental, but records indicate that yeasted breads existed in ancient Egypt. Whether they were sourdoughs or a byproduct of beer-making isn't entirely clear. What is clear is that there were yeast-leavened breads long before anyone understood how it worked. In the last 1700's, the Dutch started commercial sales of brewing yeast to be used in breadmaking, and in 1825 solid blocks were available after someone figured out how to remove most of the liquid. By 1872, granulated yeast became available. Meanwhile in the US, wild yeasts were most commonly used until a commercial yeast was marketed by Charles Fleischmann in 1876. The Fleischmann company developed a granulated active dry yeast for the US military during WWII, and the Lesaffre company created instant yeast in the 1970s. Today, home bakers have quite a number of options. Sourdough has its fans. You can grow your own culture or buy a dried or fresh sourdough culture from a number of sources. But that discussion is for another day. Fresh compressed yeast is still available, but it getting harder to find. Some grocery stores sell individual cubes, or you might find larger blocks at specialty markets or buy some from a friendly bakery. One problem with fresh yeast is that it has an extremely short shelf-life, so there's no guarantee that the yeast you buy at a grocery store will be alive enough to use. When I buy larger quantities, I freeze the excess, with mixed results. I usually use about twice as much as I would have used if it would have been fresh, and I always have dry yeast on standby, just in case. Active dry yeast is readily available in most grocery stores. The yeast pellets are made up of live yeast cells surrounded by dry cells and a growth medium, and most recipes require that active dry yeast be proofed first. Although I've never had much problem reviving active dry yeast, it does take a little time to dissolve, so proofing makes sense from that standpoint. It has a longer shelf life than other types of yeast, but some sources say it's more temperature-sensitive when in use. NEW INFO: RED STAR active dry yeast does not have these large pellets - it has smaller pellets, similar to instant yeast (below) and can be mixed into the dough without first softening it in water. You can use it like instant yeast, but it has the lasting power of active dry yeast. It's my preferred yeast for most applications. Instant yeast has smaller pellets than active dry yeast, and there are more live cells in comparison. Since it dissolves faster, it can be added directly to dough, but I often proof it anyway. If you bake a lot of sweet doughs, some manufacturers have a slightly different product that's designed for dough with a high sugar content. Rapid-rise yeast is a variation of instant yeast and it also has small pellets. It dissolves quickly and produces carbon dioxide faster, so the bread rises faster. Whether that's useful depends on your need for fast bread. Some recipes for rapid-rise yeast suggest a first rise of only 10 minutes before shaping the dough for its final rise. If you're in a hurry, similar results can be achieved by letting the bread rise in a warmer location or by adding more yeast. Bread machine yeast is also a rapid-rise yeast. 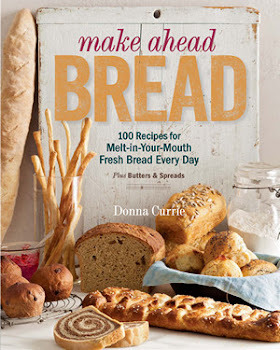 When making bread with a bread machine, the yeast is mixed directly with dry ingredients, and depending on how adjustable the timing is on the machine, it might also need to rise very quickly. So, for bread machine users, this variation has a legitimate purpose. I'm not entirely sure if bread machine yeast is a different type of rapid rise, or if it's just a different label. I found Fleischmann's bread machine yeast in a jar and rapid rise in packages, and the ingredient list was the same, but there was no indication if the proportions were the same. The pellets seemed a slightly smaller than the instant yeast I had on hand, but that could vary by brand. Also in the rapid category is Pizza Crust Yeast, a new offering from Fleischmann's. This yeast is different. Or more accurately, I'm not sure if the yeast itself is different, but it includes dough improvers that make the dough more extensible and easier to roll. According to the package, there's no need to let the dough rise at all, it's just a matter of make and bake. The package also very clearly states that it's not intended for bread. NEW INFO: PLATINUM YEAST is a new type of yeast made by Red Star. You can read about it here and here. In theory, active dry, instant, and rapid-rise yeast each have their own specific uses. For example, active dry is better in breads where there will be two rises, while instant is better for single-rise recipes. In practice, however, you can adapt your recipes to fit the yeast you have, and you can adjust your technique to speed up or slow down the speed of the rise as needed. Some sources say that active dry and instant yeast can be substituted 1:1, while others say that you should use 25 percent less instant yeast if you're substituting it for active dry in a recipe. In a perfect world and if all conditions remained constant, it would be wise to reduce the amount of yeast if you're using instant in a recipe that was written using active dry. But the speed of the rise is also affected by temperature - both the ambient temperature and that of the dough - and it also depends on how fresh your particular yeast is. The thing to remember is that yeast is a living thing, and while it's active, it's reproducing. So no matter how much yeast you start with, you'll end up with a heck of a lot more before you kill it in the heat of the oven. You can start will less yeast, give it food and optimal temperatures, and you'll end up with more happy gassy yeast than if you started with more yeast and treated it badly. So while it's great that there are options for people who need them, if you've got the right technique, you don't absolutely have to stock multiple types of yeast. This appeared on Serious Eats. You have a really wonderful blog.I saw your blog from the foodie blog roll and I like your recipes and posts here.if you wont mind, I'd love to guide Foodista readers to this post. Just add the yeast widget at the end of this post and it's good to go. Thanks!